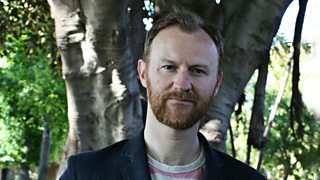 Mark Gatiss will travel back to the genesis of the Doctor. An Adventure in Space and Time will tell the story of the genesis of Doctor Who since its first broadcast on 23 November 1963. Exploring all aspects of the longest running science fiction series to date, the special one off 90 minute drama will also look at the many personalities involved in bringing the series to life. Written by Mark Gatiss, it is Executive Produced by current Doctor Who showrunner Steven Moffat and Caroline Skinner. The single drama was commissioned by Ben Stephenson Controller, Drama and Janice Hadlow, Controller of BBC TWO. "This is the story of how an unlikely set of brilliant people created a true Television original. And how an actor - William Hartnell - stereotyped in hard-man roles became a hero to millions of children. I've wanted to tell this story this for more years than I can remember! To make it happen for 'Doctor Who's 50th birthday is quite simply a dream come true". Ask the Execs: Put Your Questions to Steven Moffat and Caro Skinner!